The Board of Directors (“the Board”) of AppAsia Berhad (“the Company”) collectively leads and is responsible for the success of the Company and its subsidiary and associate companies (“the Group”) by providing entrepreneurial leadership and direction as well as supervision of the management. The Board has primary responsibility for the governance and management of the Company, and fiduciary responsibility for the financial and organizational health of the Company. This Board Charter serves as a source reference and primary induction literature, providing insights to existing and prospective board members to assist the Board in the performance of their fiduciary duties as directors of the Company. It will also assist the Board in the assessment of its own performance and of its individual Directors. The number of directors shall be not less that two (2) but not more than nine (9) as set out in the Company’s Articles of Association. In accordance with the Ace Market Listing Requirements of Bursa Malaysia Securities Berhad (“LR”), the Company must ensure that at least two (2) directors or one-third (1/3) of the Board of Directors of the Company, whichever is the higher, are independent directors. If the number of directors of the Company is not three (3) or a multiple of three (3), then the number nearest one-third (1/3) must be used. In the event of any vacancy in the Board, resulting in non-compliance with the LR, the Company must fill the vacancy within three (3) months. All newly appointed directors shall retire and be re-elected by the shareholders at the next annual general meeting of the Company and shall then eligible for re-election. Any director appointed by the Board during the financial year shall hold office only until the next annual general meeting of the Company and shall then be eligible for re-election, but shall not be taken into account in determining the number of directors who are to retire by rotation at such meeting. The tenure of an independent director should not exceed a cumulative terms of nine (9) years. Upon completion of nine (9) years, an independent director may continue to serve on the Board subject to the directors’ re-designation as a non-independent director. For the Board to justify and seek shareholders’ approval for retaining a person who has served in that capacity for more than nine (9) years, as an independent director, the Nomination Committee/Board must conduct a rigorous review to determine whether the Director is independent in character and judgment, taking into account the need for progressive refreshing of the Board. The independence of each director is reviewed at least annually and individual directors do not participate in assessing their own independence. 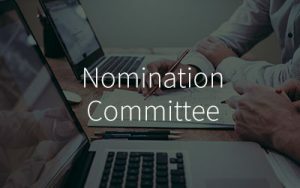 The Board is committed to maintaining an environment of respect for people regardless of their gender in all business dealings and achieving a workplace environment free of harassment and discrimination on the basis of gender, physical or mental state, ethnicity, nationality, religion, age or family status. The same principle is applied to the selection of potential candidates for appointment to the Board. providing a safe and healthy environment for the views of Board members to be heard, their concerns attended to and where, bias, discrimination and harassment on any matter are not tolerated. The Board acknowledges the importance to promote gender diversity, the normal selection criteria based on an effective blend of competencies, skills, extensive experience and knowledge to strengthen the Board should remain a priority. Thus the Company does not set any specific target for female directors in the Gender Diversity Policy and will actively work towards having more female directors on the Board. he is absent from Board meetings for a period of more than six (6) months without special leave of absence from the other Directors and such Directors have passed a resolution that he has by reason of such absence vacated his office. A Director will also vacate office should he be absent from more than 50% of the total board of directors’ meetings held during a financial year. Each Board member is expected to achieve at least 50% attendance of total Board Meetings in any applicable financial year with appropriate leave of absence be notified to the Chairman and/or Company Secretaries, where applicable. As prescribed under the LR, each Board member must not hold directorships at more than five (5) public listed companies. The appointment and removal of the Company Secretary is a matter for the Board as a whole. The Board recognises the fact that the Company Secretary should be suitability qualified and capable of carrying out the duties required. The office of the Company Secretary shall be vacated if the Company Secretary resigns by notice in writing to the Company left at the Registered Office of the Company. Where a Company Secretary gives notice of resignation to the Directors, the Company Secretary shall cease to act as Company Secretary with immediate effect or on the date specified in such notice (as the case may be). As part of its efforts to ensure the effective discharge of its duties, the Board has delegated certain functions to certain Committees with each operating within its clearly defined terms of reference. Share Issuance Scheme Option Committee. 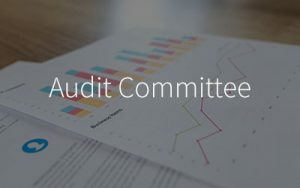 The roles and responsibilities of Audit, Remuneration, Nomination and Share Issuance Scheme Option Committees are set out in the terms and reference of each Committee. The Chairman of the relevant Board Committees will report to the Board on the key issues deliberated by the Board Committees at the Board meetings. A Director shall at all times exercise his powers for a proper purpose and in good faith in the best interest of the Company and shall act honestly and use reasonable care, skill and diligence in the discharge of the duties of his office and shall not make use of any information acquired by virtue of his position to gain directly or indirectly an improper advantage for himself or for any other person or to cause detriment to the Company. A Director shall at all times avoid conflicts of interest, and shall as soon as practicable after the relevant facts have come to his/her knowledge, declare the nature of his/her interest at a meeting of the directors of the Company. Every Director shall give notice to the Company of such events and matters relating to him/her as may be necessary or expedient to enable the Company and its officers to comply with the requirements of the Companies Act, 2016 (“CA”). Initiate a Board self-evaluation program and follow-up action to deal with issues arising and arrange for directors to attend courses, seminars and participate in development programs as the Board judges appropriate. changes to the management and control structure within the Company and its subsidiaries (“the Group”), including key policies, delegated authority limits. The Directors have individual and independent access to the advice and dedicated support services of the Company Secretary in ensuring the effective functioning of the Board. The Directors may seek advice from the management on issues under their respective purview. The Directors may also interact directly with, or request further explanation, information or updates, on any aspect of the Company’s operations or business concerns from the management. In addition, the Board may seek independent professional advice at the Company’s expense on specific issues to enable the Board to discharge its duties in relation to the matters being deliberated. Individual Directors may also obtain independent professional or other advice in furtherance of their duties, subject to approval by the Chairman or the Board, depending on the quantum of the fees involved. The Board shall appoint one (1) person from amongst its members as the Chairman of Board and the elected Chairman must be Independent Non-Executive Director. to overseeing the Board in effective discharge of its fiduciary duties. to commit time necessary to discharge effectively his role as Chairman. The roles of the Chairman and Managing Director of the Company are distinct. The distinct and separate roles of the Chairman and Managing Director, with a clear division of responsibilities, ensures a balance of power and authority, such that no one individual has unfettered powers of decision-making. Non-Executive Directors are persons of calibre, credibility and have the necessary skill and experience to bring an independent judgement to bear on the issues of strategy, performance and resources, including key appointments and standards of conduct. Independent Non-Executive Directors are those who have no direct or indirect pecuniary interest in the Company other than the remuneration for their services as members of the Board of Directors and Board committees of the Company and the Group. The Board shall appoint amongst its members a Senior Independent Non-Executive Director to act as an additional safeguard and to serve as a fallback point of contact for investors and shareholders when the normal channel of communication is considered to be inappropriate or inadequate. Consult with the Chairman regarding Board meeting schedules to ensure Independent Directors can perform their duties responsibly and with sufficient time for discussion of all agenda items. The Board shall meet at least four (4) times in a financial year, although additional meetings may be called at any time at the Chairman’s discretion. The quorum of Board meeting is two (2) members, present in person, majority of members present must be Independent Non-Executive Directors. Proceedings of all meetings are minuted and signed by the Chairman of the meeting. Minutes of all Board meetings are circulated to the directors and approved by the Board at the subsequent meeting. Actions on all matters arising from any meeting are reported at the following meeting. 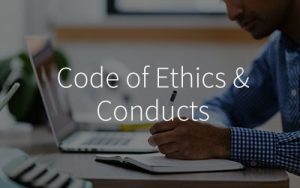 The Board may invite external parties such as auditors (both internal and/or external auditors), solicitors or consultants as and when the need arises. Such invited parties may attend part or all of the Board Meeting at the discretion of the Board. Any Director who has a direct or deemed interest in the subject matter to be deliberated abstains from deliberation and voting on the same during the meeting. In the event the elected Chairman is not able to attend a meeting, a member of the Board shall be nominated as Chairman for the meeting. The nominated Chairman shall be an Independent Non-Executive Director. The Board meeting may be held and conducted through the telephone or any communication equipment which allows all persons participating in the meeting to hear each other. A person so participating shall be deemed to be present in person at the meeting and shall be entitled to vote and be counted in a quorum accordingly. A resolution in writing, signed by a majority of the directors present in Malaysia for the time being entitled to receive notice of a meeting of the Board, shall be as valid and effectual as if it had been passed at a meeting of the directors duly convened and held. Any such resolution may consist of several documents in like form, each signed by one or more of the members of the Board. The resolutions are to be recorded in the Company’s minutes book kept by the Company Secretary. Unless otherwise agreed, notice of each meeting confirming the venue, time and date, together with an agenda of items to be discussed, shall be forwarded to each member no later than seven (7) days before the date of the meeting. As a best practice and allow ample time for directors to study and evaluate the matters to be discussed and subsequently make effective decisions, the Board paper and agenda items shall be circulated at least seven (7) days prior to the meeting. The Board should have access to all information pertaining to the Company and advice / services of the Company Secretary and Senior Management staff in the Group in a timely manner for the discharge of its duties effectively. The Board may whether as a full Board or in their individual capacity, seek independent professional advice, including the internal and external auditors, at the Company’s expense to enable the directors to discharge their duties with adequate knowledge on the matters being deliberated. The Board acknowledge that confidential information received in the course of exercise of the Board duties remains the property of the Group, whether it relates to the Group or another entity. It will not be disclosed unless either the Chairman of the Board has so authorised in writing or disclosure is required by law. The Directors shall be regularly updated by the Company Secretary, the External Auditors or the Internal Auditors on new statutory, corporate and regulatory developments relating to directors’ duties and responsibilities or the discharge of their duties as directors of the Company. The Board should on continuing basis evaluate and determine the training needs of each Director, particularly on relevant new law and regulations and essential practices for effective corporate governance and risk management to enable the Directors to effectively discharge their duties. The remuneration policy of the Company is based on the philosophy of giving higher weightage on performance-related bonuses. These are entrenched in the remuneration policy for Executive Directors, which are reviewed annually by the Remuneration Committee. The performance of Directors is measured by the Directors’ contribution and commitment to both the Board and the Company. The Executive Directors’ remuneration will depend on the performance of the Group. In the case of Non-Executive Directors, the level of remuneration reflects the contribution and level of responsibilities undertaken by the particular Non-Executive Director. 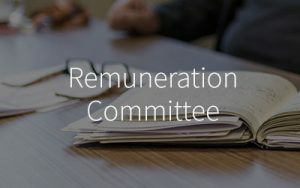 The Board will determine the level of remuneration for each board member, taking into consideration the recommendations of the Remuneration Committee. The Directors shall be paid all their travelling and other expenses properly and necessarily expended by them in and about the business of the Company including their travelling and other expenses incurred in attending board meetings of the Company. The Directors concerned shall abstain from voting or discussing their own remuneration. The Directors are to maintain the highest degree of integrity and professionalism while at the same time promoting transparency and accountability in their actions. Documenting and emphasising to the Directors, the integral obligation of each Director in performing his/her duty, to act in a manner that is lawful, honest, ethical and free from any conflict of interest or perceived conflict of interest. 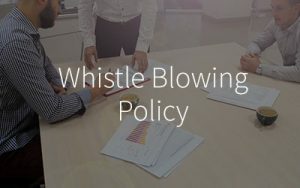 The Company has in place “Whistle Blowing Policy” to manage improper conduct on the part of the Directors, if any. This policy covers areas from lodging of reports to investigation and corrective actions that are required to be taken. The deliberate concealment of information concerning any of the matters listed above. The Board has overall responsibility for this policy and shall oversee the implementation of this policy. The Board will maintain an effective communications policy that enables both the Board and Management to communicate effectively with shareholders and the general public. The Board will ensure that the General Meetings of the Company are conducted in an efficient manner and serve as a mode in shareholders communications. These include the supply of comprehensive and timely information to shareholders and the encouragement of active participation at the General Meetings. The Board Charter shall be reviewed by the Board annually to ensure its relevance in assisting the Board to discharge its duties with the changes in the corporate laws and regulations that may arise from time to time and to remain consistent with the Board’s objectives and responsibilities.